It’s coming up to the two-year mark of What Lucy Loves being on the web, so I thought id share with you a few tips for having the time to blog. When I first set up my blog I found the whole process a bit overwhelming, I had so many ideas, hardly any time and a not so bright bedroom for photographs. I didn’t know how to manage my time efficiently and I had a pretty irregular schedule. 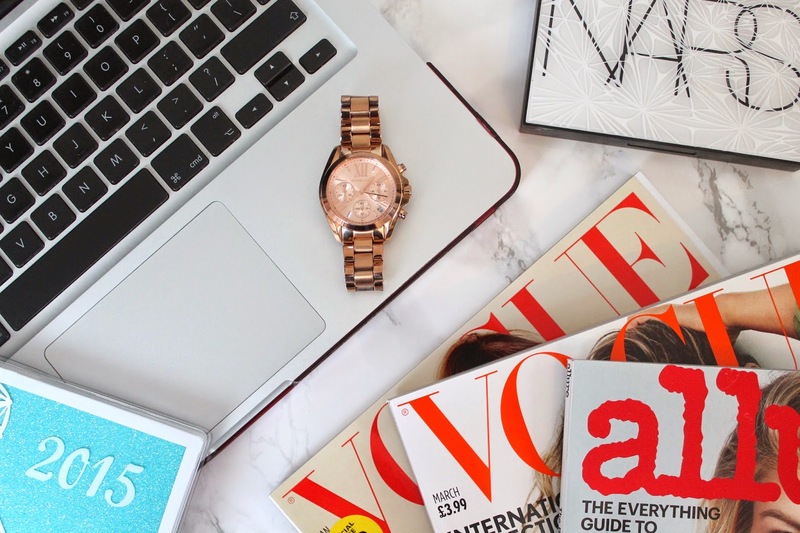 If you didn’t already know I am currently still in full-time education, I am in my first year of university so finding the time to blog can be quite challenging, here are my tips for managing your time. To some people this may sound like such a simple thing to do but for others it can be hard to keep up with having a diary. 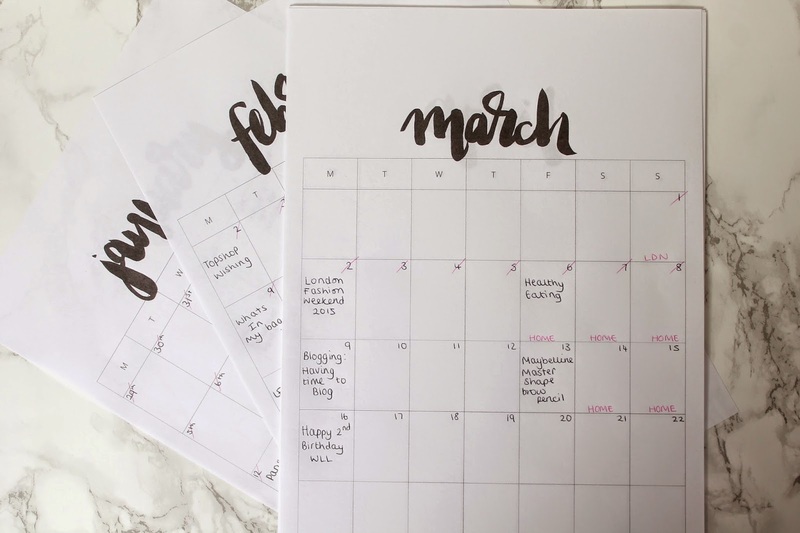 I love being organised so having a diary is really simple and easy for me, I like to plan ahead and scheduling is a must. My diary is from paper chase and I love to just get this out and show off how glittery and pretty it is. A weird tip but a very helpful one. I like to have a different colour for each thing that I’m doing, for example: pink for birthdays, black for blogging, green for everyday things and Blue for uni work. Having everything in different colours really helps to see what needs to be done or what you have planned for that week. Weekly schedules from: penandpeplum.com -Highly recommend them, free to download also. As well as a diary I like to keep a weekly schedule, this one is specifically for my blog. I put down the title of my blog post on the date I’m going to publish it. I also add in where I’m going to be that weekend, because I’m at university I often travel somewhere for the weekends, London, Home or Leeds. This allows me to plan whether I need to take products home to photograph or schedule posts for when I’m away. This is so handy to see where I am and to plan out my week. I also have a separate one for uni work, deadlines, exams etc. Knowing when you want to put a post up is really helpful, I post at 10am every Monday and Friday. Knowing this I can plan out posts, write them and then schedule them in on blogger for that time and day. This will allow you to plan a day for blogging, for uni work (or normal work), or to take photographs. I like to write my posts in advance and have them up and ready to be posted on the day. I tend to write posts mid-week (Tuesday or Wednesday when I have time off uni) and take my photographs at the weekend when I’m at home because my room in halls is very dimly lit and not the best for blogging in. This is already a lengthy post and I could go on forever so if you’d like a part two let me know and I’ll happily do that for you. If you have any of your own tips please do let me know as I’m always up for new ideas to organise my time. I hope you’ve found this post helpful.